We are Bible believing Christians who meet together for prayer, Bible teaching and to proclaim the gospel in accordance with New Testament principles. Click here to see our meeting times. 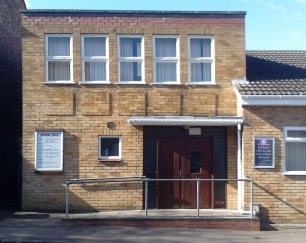 Come and hear the Good News every Sunday at 6.30pm! The Bible teaches us about God's only Son, the Lord Jesus Christ, who died on the cross to save us from our sins. By placing our faith and trust in Him we can know the forgiveness of sins and be assured of everlasting life. Will you accept Jesus Christ as your Saviour?